Should I take a stand at a Trade Show or Exhibition? We have always take the long-term view with regard to exhibiting at trade shows in that it can bring benefits to your business and raise valuable awareness but that it should be weighed up with the costs involved before you invest your time and money and be part of your annual marketing strategy. Trade Shows and Exhibitions give you the opportunity to meet directly with potential customers and generate leads but success is not always guaranteed as the people you may meet may not be in the market for your kind of products and services. 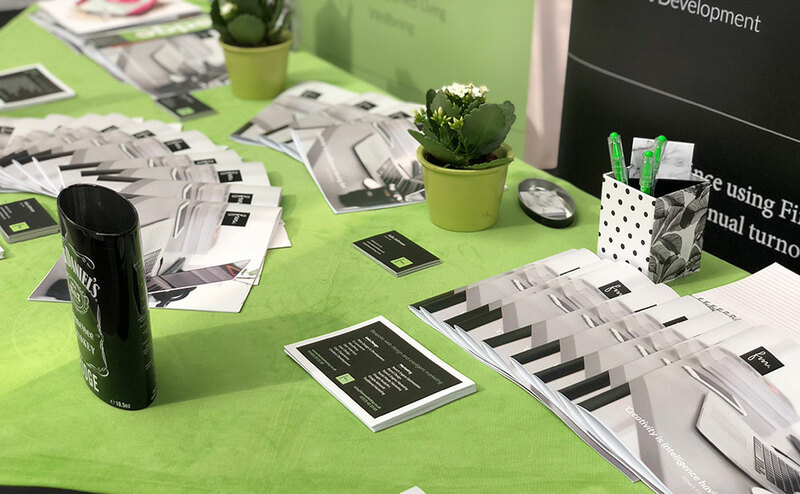 We do find that taking a stand at exhibitions gives us the opportunity to speak and network with other stand holders and this is often beneficial if you are a smaller business and other stand holders are of a similar size. The smaller companies will frequently have their Managing Director or Sales Director present, and it’s a great way to introduce yourself and start building a relationship. Exhibitions are always an excellent way to raise your company profile and increase brand awareness and to make the most of this you should be using social media in the run-up to the exhibition to make the most of your online profile and increase followers. You may also find there are additional advertising and sponsorship opportunities that you can take advantage of when booking your stand. Every business should be involved in some kind of networking, and trade shows are no exception. Shows are an ideal opportunity to learn about your competitors, find out about their new launches and what they might have in the pipeline that could have an impact on your business. If your company is planning to launch a new service or a new product, then an exhibition could be the ideal opportunity and may provide an opportunity to discuss the benefits of the new service or product and the outcomes you hope to see. It is highly likely that you will have competitors at shows and exhibitions. How can you stand out? You will need to make sure you have an eye-catching stand and some outstanding literature. Make sure it is all company branded and perhaps have some giveaways or sponsorship prizes to make sure your name has more impact on prospective customers than your competitors. Consider your costs: stand space, design and build, travel, staff time, printing, sponsorship and giveaways. Book the right stand space – don’t get stuck in a corner where people may not find you easily. Finally, do your research. Choose the right exhibition or trade fair. 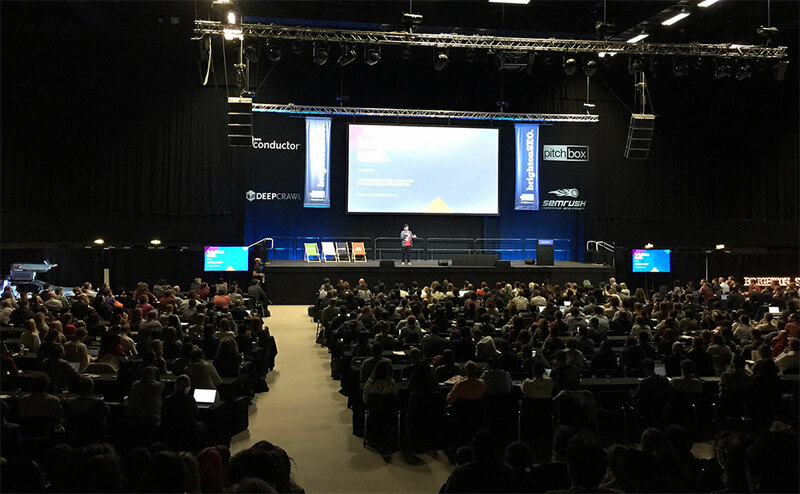 Check out if the speakers are big enough to attract the kind of delegates and/or footfall that you are looking for and follow up the event with some evaluation. The success of attendance and whether you have generated any good leads will give you the reasons to re-book or not for the following year. Author adminPosted on October 8, 2018 January 22, 2019 Leave a comment on Should I take a stand at a Trade Show or Exhibition? What was there not to love on Friday at Brighton SEO? For those digital marketers who have never attended one of the events, then you are really missing out – it is an absolute must if you want to stay up-to-date with the latest SEO news, tech and data. With speakers and attendees from across the globe, the workshops and presentations encompass just about everything a marketing specialist is interested in. Comprehensive – yes! Fun – yes! Informative – Yes! You could choose from ‘What the Gurus don’t tell you about Facebook Ads’ to Advanced PPC and paid social tactics; or how about Page Speed Optimisation Tips or 20 Free SEO Tools you should be using? Other topics included ‘How Can Businesses Build a Better Web’ or maybe content creation or search-friendly web apps was more to your liking? Whether you are a freelance web designer or marketer; run an agency or are a member of an in-house team then, there were topics that would have been relevant to your role and level of experience. Keynote speaker this year was Rand Fishkin, and he didn’t disappoint. Rand is one of the major celebs of the SEO world and took the main stage at the end of the afternoon. Rand started by stating what many of us thought – that SEO’s do a lot of work for Google, helping organise the world’s information for Google to scrape content from our sites. That the deal is getting worse all the time and where once they had two users, content creators and searchers, they now only have one – searchers. He explained that ‘It had never been more difficult to earn traffic from the world’s major players, such as Google/ but that also ‘It has never been more important to make your website the centre of your campaigns.’ Rather a conflicting statement but if you’re a marketer, it will make complete sense. The choice of speakers throughout the conference was amazing, Greg Gifford, Purna Virji, Emily Grossman and Mike King to name a few and Dom Hodgson had the hall in stitches with his practical advice and his fairy princess suit! And then, of course, there was the Delorean-Time machine which took pride of place in front of the main stage. Finally, congrats to Kelvin Newman and the team for another great event! Brighton, you put the rest in the shade! Author adminPosted on October 8, 2018 January 22, 2019 Leave a comment on What was there not to love on Friday at Brighton SEO? You’ll find us in the studio from Monday to Friday, 9am to 5pm.